Why you should be drinking (Matcha) green tea….. Even when I temporarily fall off the healthy bandwagon (it happens occasionally!) there are foods I religiously include in my diet. Like organic eggs for breakfast, a handful of almonds for snacking, and a couple of daily cups of green tea. 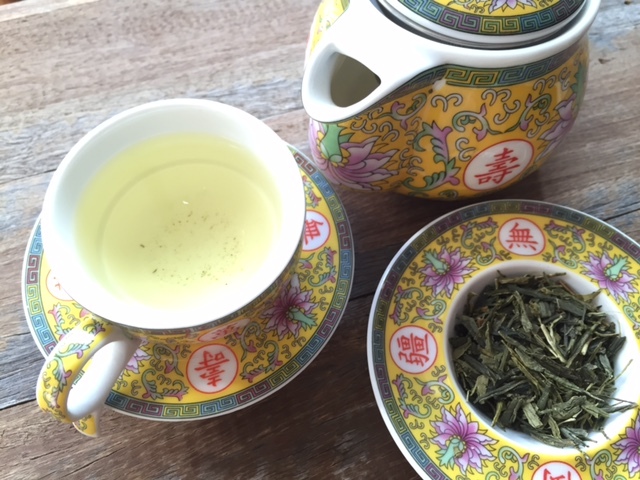 I discovered green tea years ago and here I wanted to share why it’s my drink of choice. Green tea has been praised widely for its benefits on overall health. It has impressive anti-oxidant properties and so has been linked to playing a role in preventing diseases including cancer and type II diabetes. Tea more broadly comes from the dried leaves of the Camellia Sinensis bush. Green tea, unlike black tea, isn’t exposed to oxygen and is one of the least processed teas – this is thought to keep the powerful antioxidants intact. 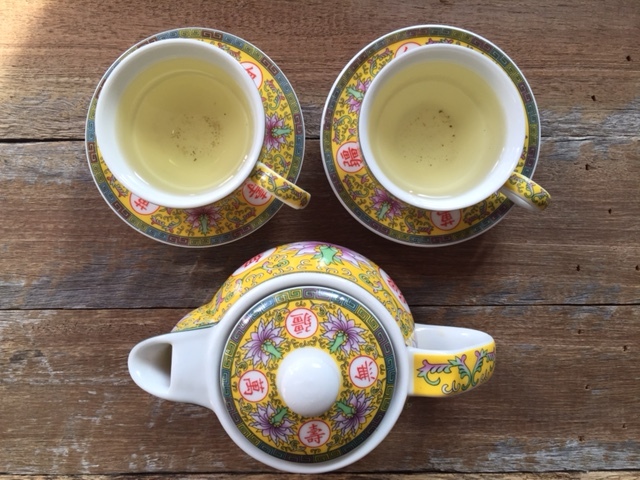 Research suggests two or three cups daily is enough to benefit from the green tea goodness. Green tea is much lower on caffeine (30-50 mg per cup) compared to coffee (60mg to 100+ mg) but at the same time it still provides a stimulant, concentration boasting effect. I favour loose leaves from speciality stores over relatively cheap tea bags. Not only do loose leaves magnify the health benefits (they’ve been shown to be the most potent in antioxidants) but the resulting tea also tastes much better. And of course loose leaves give you a good excuse to shop for tea accessories. 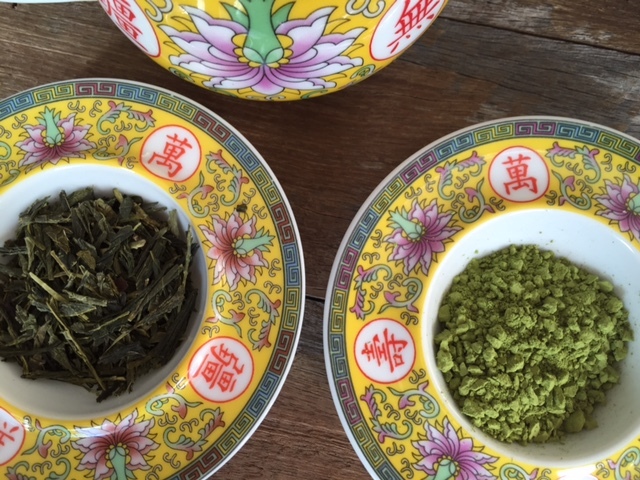 On my green tea journey I’ve recently started to hear more about Matcha tea. Matcha is a powder that’s finely ground and made from whole tea leaves that are steamed. Because the plant is grown in the shade it has a superior chlorophyll content which boosts it’s detoxification properties. The best Matcha comes from Japan, where Matcha tea has long been a Japanese tradition (of course we all know about Japan’s long lifespan). 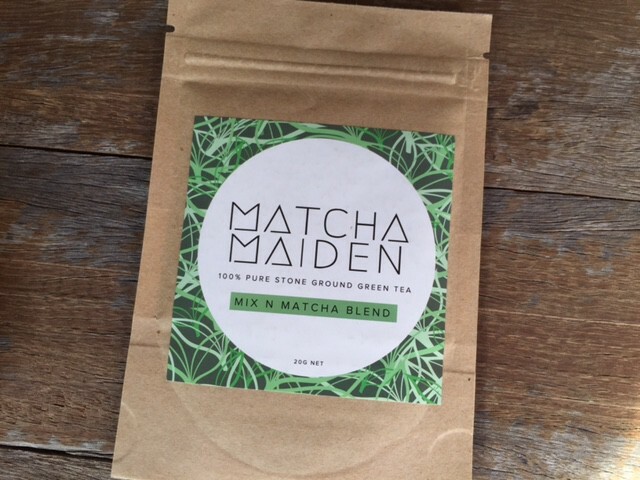 On a recent trip to my local wholefoods store I bumped into the lovely Sarah from Matcha Maiden – Sarah was showcasing her Matcha Maiden powder and of course I had to know more. In only a few minutes she convinced me to make the switch from my regular green tea to Matcha. Matcha powder is relatively new to the mainstream market, but it has been used for centuries in Asia for its powerful properties. It’s a special way of consuming green tea developed by Buddhist monks for focusing on meditation and enhancing wellbeing. 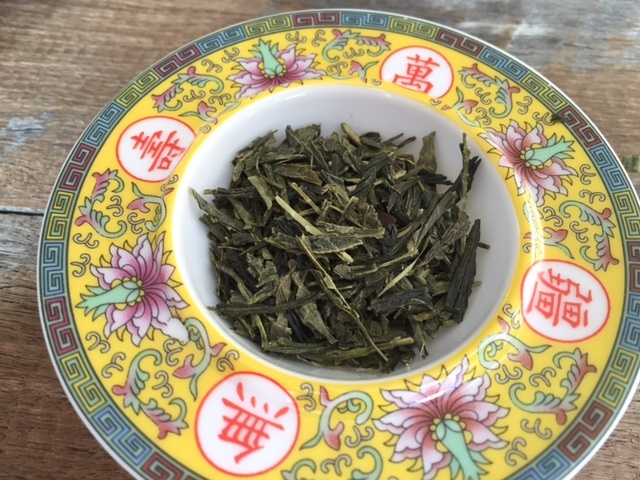 It consist of all-natural green tea leaves stone ground into a fine powder. Unlike regular green tea which is just water brewed with tea leaves, Matcha powder contains the whole leaf and along with it a heavy hit of all the green tea goodness. 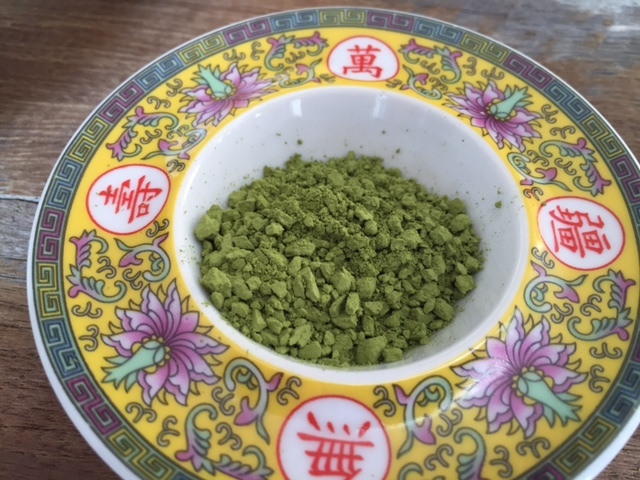 I was amazed to hear from Sarah that one serve of Matcha can have up to 137 times the antioxidants of regular green tea. Matcha tea is traditionally served as part of tea ceremonies – of course this means extra equipment and time-consuming preparation. That’s where Matcha powder comes in – you’re not confined to drinking it as tea in the conventional way – it can be mixed into smoothies, baking and even ice cream (hooray!). Just ½ teaspoon daily will give you a powerful green tea hit (no fancy tea accessories and brewing needed). If you’ve been drinking Matcha for a while now I’d love to hear any clever recipe ideas….. Tags: green tea, health benefits, matcha, matcha maiden. Bookmark the permalink. Green tea is my elixir of productivity. I drink 3 cups a day throughout my workday! My grandfather, who lived to be 100, swore by it. (: I love your beautiful photos, and that teapot is gorgeous! 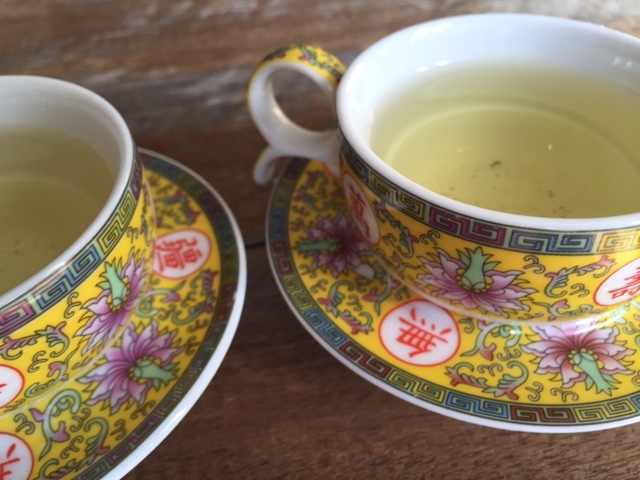 Thanks Connie – wow that’s great to hear about your Grandfather – I’m sure green tea played a role! Thanks for stopping by! I am a tea lover! Green, black, herbal.. beautiful photos!!! Thank you! Herbal hasn’t won me over yet but love all other teas…. Thank you for sharing, Laura 🙂 Love the pictures! I’m a green tea drinker, it’s all I drink, green tea or water 🙂 I recently tried matcha too and it’s nice, not sure about whether I’m feeling any benefits though?! Hi Elaine – good to hear you’re a fellow green tea drinker (I do have a vice for coffee too though)….perhaps you don’t feel the extra benefits of Matcha but maybe you’ll be the one who is still baking and blogging at 100 because of your healthy habits! I haven’t tried matcha tea, but have heard great things! I’ll have to give it a go. P.s. Your tea set is SO cute!! Matcha is fantastic, and it’s great in baking as well! So I’ve heard – baking with it is on my to do list…..